With limited development land available, self storage companies are building up to meet demand. 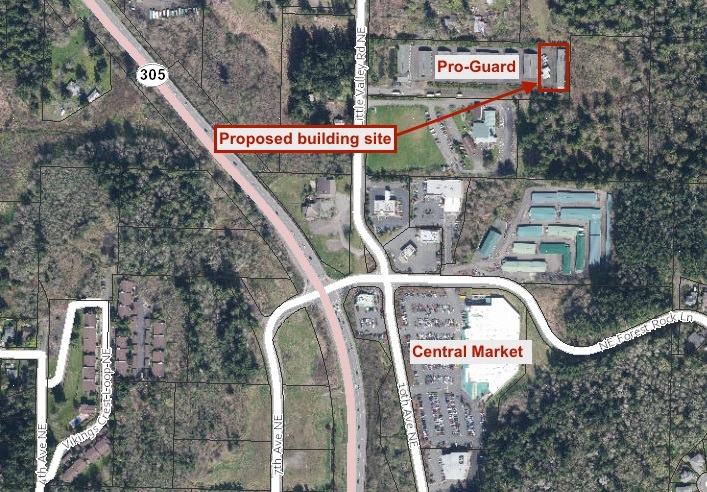 That’s the case in Poulsbo where Pro-Guard has proposed a new three-story storage building on the site of its existing facility at 20554 Little Valley Road NE, near Central Market. The 45,000-square-foot structure would replace a portion of RV parking on the property, according to a notice of application issued by the city. Pro-Guard submitted the site plan review application Oct. 5. The city will accept comments on the proposal through Nov. 11. Pro-Guard’s proposal is one of several possible storage developments in the north end of the county. Urban Self Storage recently submitted an application for a multi-story storage building near Safeway in Poulsbo. On Bainbridge, Urban is considering plans for self storage on Day Road near Highway 305.